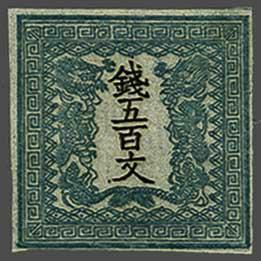 1871: 500 m. blue green on native laid paper imperf., plate I, pos. 22, full to large margins, unused without gum as issued. A fine and fresh stamp, cert. 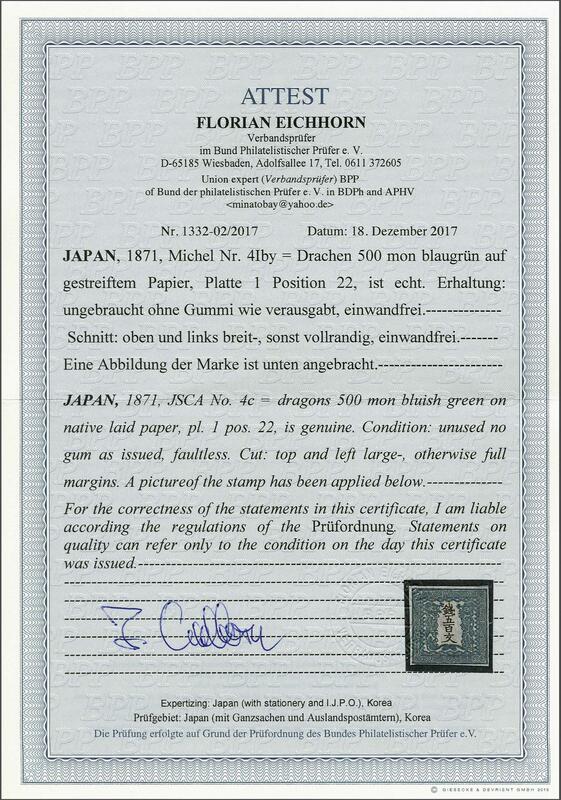 Eichhorn BPP (2017) Scott = $ 650/Gi 15b = £ 550.